Greg Heffley's adventures are far from over. Come in for some more fun stories and wimpy (and varied) cartoon characters we learned to love since the beginning of the series. Just prepare your self for the release of the eleventh installment, which is officially titled Diary of a Wimpy Kid: Double Down. The said book also got an official cover with a orange-redding hue. The subtitle are a cut-out letters made of cheese, which suggests the Cheese Touch is back in town! We won't have to wait for another year to enjoy it as it is coming this November! Check out the cover of Diary of a Wimpy Kid: Double Down by Jeff Kinney. The latest book in the phenomenally successful Diary of a Wimpy Kid series by bestselling author Jeff Kinney will go on sale November 1, 2016. One of the most anticipated books of the year, tens of millions of fans all over the world eagerly await this newest installment—the eleventh book in the series. There are now more than 165 million copies of the books in the Diary of a Wimpy Kid series in print globally. Book eleven follows the enormous international acclaim of Old School, which debuted at the top of bestseller lists around the world and has remained at the top of the bestseller lists ever since it went on sale last November. Diary of a Wimpy Kid continues to dominate sales charts in 2016. 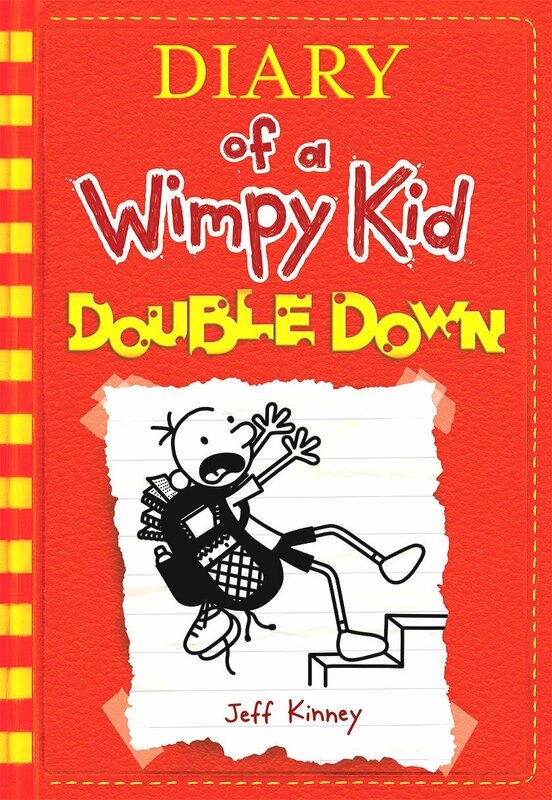 Diary of a Wimpy Kid: Double Down by Jeff Kinney will hit bookstores on November 1, 2016.